Crime documentaries are a mixed bag and a lot of times they can feel a little sensationalist in terms of what they choose to emphasize. The worst ones have the overly elaborate reenactments that work to up the scare factor and make things more real somehow. 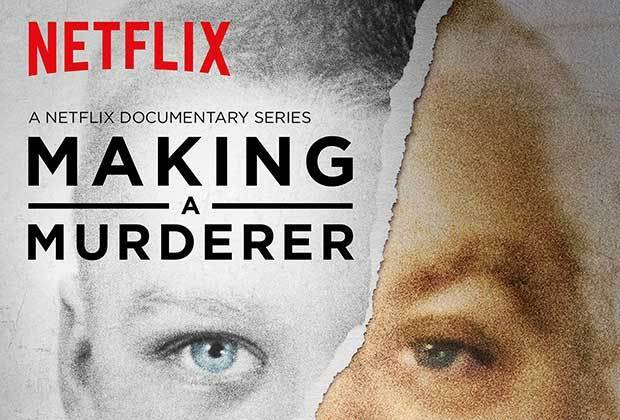 I wasn't sure what to make of Making a Murderer when I noticed it was being heavily promoted on Netflix. Admittedly I tend to focus on lighter documentary fare as end-of-work-day viewing and murder stories aren't quite as easy to get into. But I figured I might as well give this a go and was rather surprised at the story that they presented. Synopsis: Making a Murderer is a true crime documentary mini-series written and directed by Laura Ricciardi and Moira Demos. The Netflix-exclusive series has had two "parts" or seasons that span a total of 20 episodes thus far. In 1985 Steven Avery was arrested and convicted of sexual assault despite his alibi. 18 years later he was eventually exonerated thanks to new DNA evidence that had become available. When he was released from prison in 2003, he also filed a $36 million lawsuit against Manitowoc County and sort of became a poster boy for wrongful conviction cases and efforts like the Innocence Project. Two years after his release in 2005 he was arrested once more and this time charged with murder for another crime given the vehicle of the victim had been found on his property and later more evidence was discovered that seemed to indicate she had been killed there. But he and his lawyers argued that this was Manitowoc County somehow getting revenge against him for the embarrassment of his release years before. What I Liked: It's inevitable that this documentary series can be compared to the likes of the Serial podcast as it too explored a case whose investigation seemed to create more questions than it answered. There are a lot of disturbing gaps in how this case was handled and the does does a great job of painting that picture and showing why there may be more to this case than meets the eye. And let's face it, the case in itself is pretty fascinating and things really amp up in Part 2 of the show when Kathleen Zellner becomes his lawyer and she really digs deep into trying to refute all the evidence presented by the case in a very methodical manner. As tricky as such cases can be and how certainly documentaries can't exactly cover everything about the case in detail, the case that they do end up presenting does really bring into question whether this wasn't some sort of a witch hunt to convict Steven Avery. What Could Have Been Better: Across both Parts 1 and 2 of the show it really does feel like the side of the prosecution wasn't as well-represented. Based on statements released to the press the documentary filmmakers behind the series argue that many personalities from the Manitowoc County side of things declined interviews and more involved participation in the series. That may have shifted a bit come Part 2 but not by much. The second part of the series in particular certainly felt like they didn't really have enough content to fill up the season to a satisfying degree and thus ended up focusing more on the Avery family outside of prison and their struggles to some degree. What comes to mind are the many, many interviews with Steven Avery's parents, which were somewhat poignant but mostly unrelated to the facts of the case directly. TL;DR: Making a Murderer is certainly an interesting little series that may not have an actual ending just yet as the case remains active. You won't walk away fully convinced of one side or another I think, but you will certainly question a lot of the legal loopholes out there that really bog down the US criminal justice system. Thus the series as a whole gets a firm 4 revelations about the State's evidence out of a possible 5.